The tenth in our series of annual Cheekies is made of dense and wavy pale blond mohair with amber and black eyes, a velveteen muzzle and felt paws. ‘Witney’ is embroidered in red on his removable pale sage green, polka dot neckerchief. 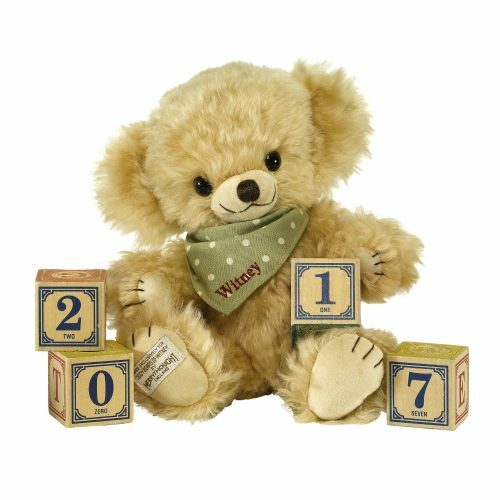 The Witney 2017 Bear is softly pellet filled.